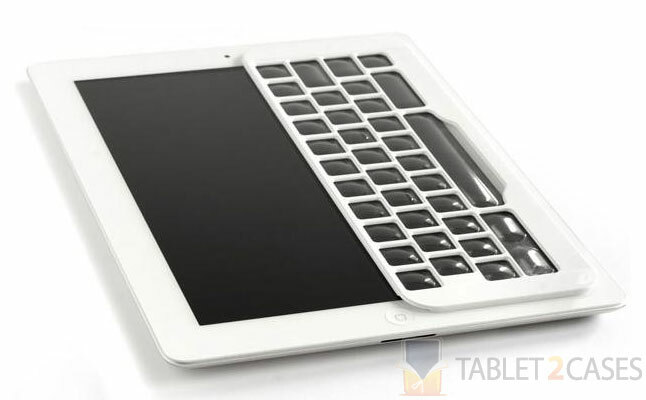 iKeyboard is a convenient tablet keyboard featuring a never-before-seen concept. The ultra-slim profile and feather-like weight of the keyboard allows it to be attached to the Apple iPad and fit unnoticed inside most tablet cases. Powered by trilithium crystals, the case doesn’t require any batteries nor pairing. The unique, clear, touch-capacitive keys ensure that you not only see the virtual keys, but also feel them on your fingertips. The new keyboard allows you to type faster and more accurately. The new slim Apple iPad case is perfect for those tablet owners, who value functionality and every inch of space inside their briefcases. With the iKeyboard attached to your tablet you can relax and no longer worry about making typos. From now on you can focus on the content of whatever your need to type, the new keyboard will make sure you make no mistakes, unless you really want to make them.